I do not like cooking, but I love baking cakes. 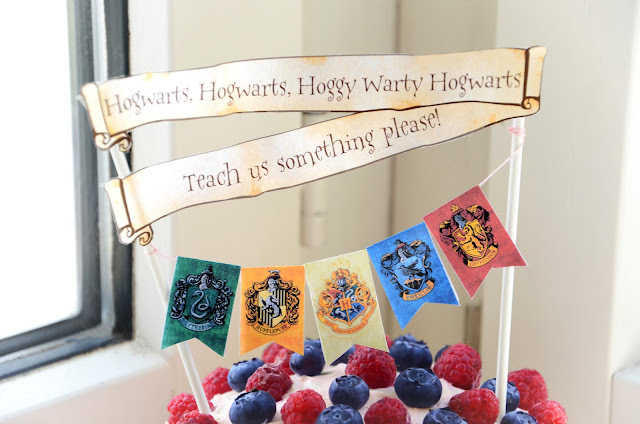 as well as each of the four house banners. Inspired to make a cake with the four main Hogwarts house colors. I can easily picture it sitting amongst the amazing desserts and puddings in the Great Hall. But nothing at Hogwarts is what it seems, and this cake is no different. 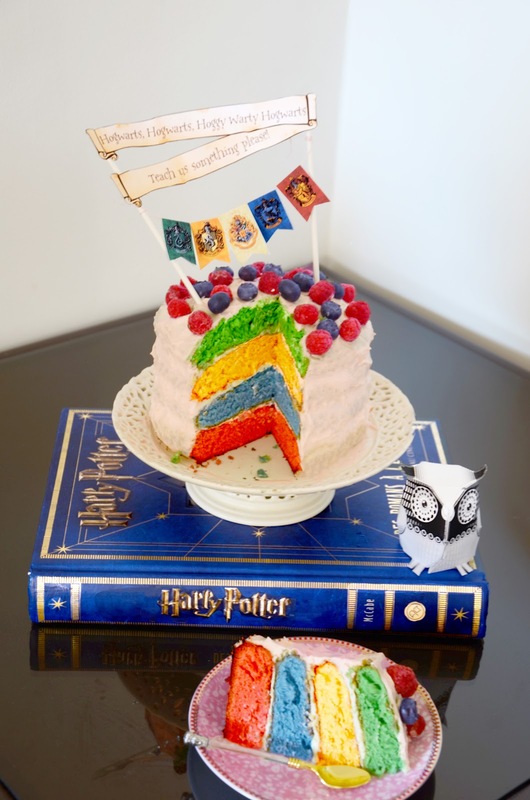 so freaking cute, I love the colorful cake, makes me want to read harry potter all over again! 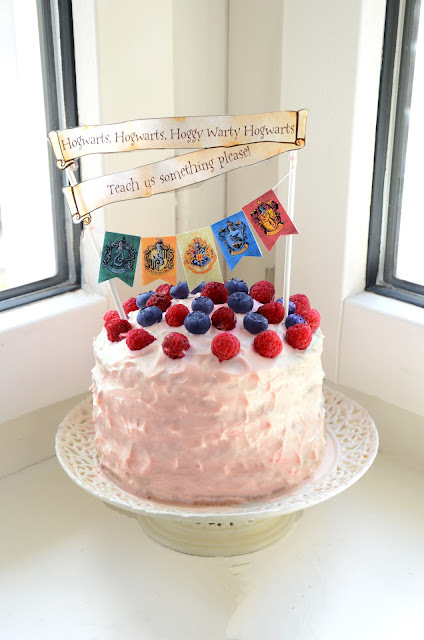 I'm not a Harry Potter fan, but I AM a fan of that cake! 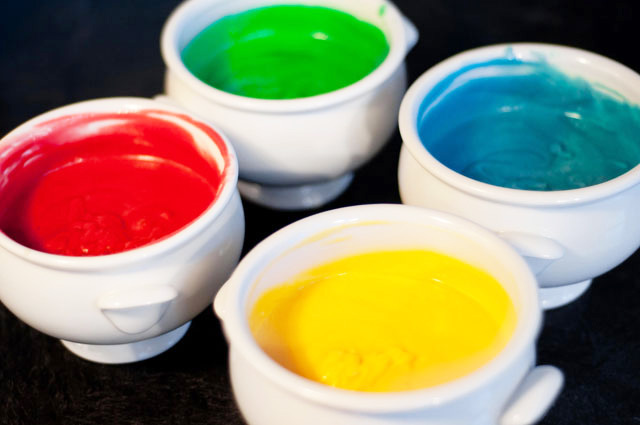 what is the breadth of the mould? It looks so tasty! I want the recipe si I can be able to made it, InshaAllah! 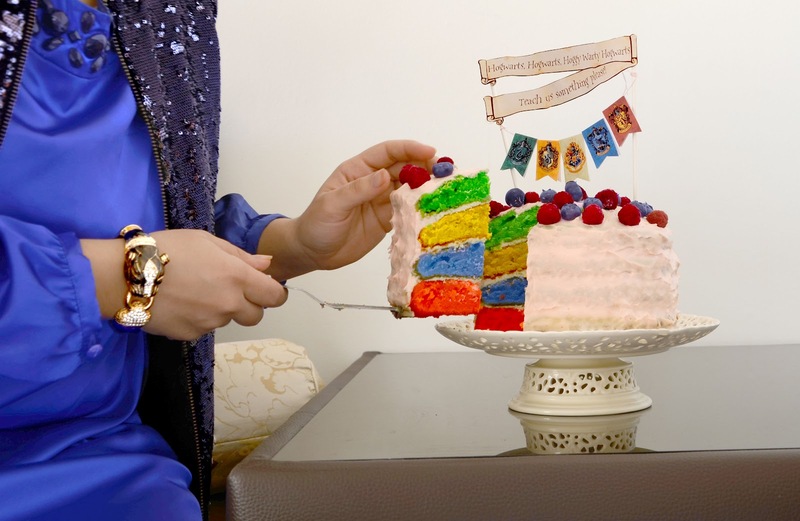 Impressive :) Adore that cake stand - where is it from?